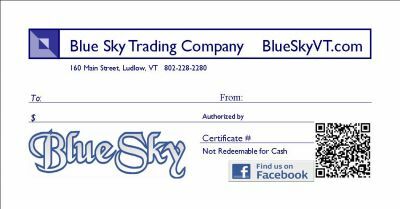 Are you a Blue Sky Gal? 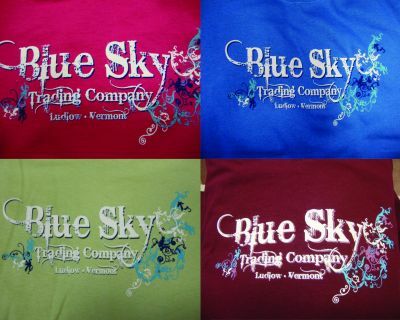 Wear it proudly on this Gildan 100% cotton Ladies Tee available in four fantastic colors-Pistachio (pale green) Plum (maroon) Iris (bright blue) and Helicon (bold pink). Ladies sizes S, M, L, XL, XXL. These 1.5 oz. maple sugar candies are available in a classic maple leaf design. These glass maple leaf bottles, available in 4 sizes, contain only the highest quality Grade A Medium Amber. Size small 1.7 fl oz. : ship wt. 1 lb. Size medium 3.4 fl oz. : ship wt. 1 lb.